Githinji Hinga welcomed the ruling and said they will extend an olive branch to the other faction in a bid to resolve their differences. Elected officials of Chess Kenya (CK) have been given the mandate to run affairs of the federation for the remainder of their term in a ruling delivered by the Sports Disputes Tribunal Tuesday afternoon. The ruling further barred interim officials from conducting themselves as officials of CK. The mandated officials have been given two months to conduct a special general meeting or an annual general meeting depending on whichever comes earlier as per their constitution. The sole purpose of the convocation will be to conduct fresh polls and scrutinizing audited accounts. Additionally, CK has seven days to publish the full list of its membership and circulate for scrutiny before finalizing the same within 21 days. The tribunal determined that the meeting held on March 20 where the interim officials were elected was a consultative meeting and not a special general meeting. On the issue of jurisdiction, they noted that respondents made initial appearance when the case came up for hearing thus had no preliminary objection to their handling of the matter. Further, they noted that respondents failed to state an appropriate forum where the dispute should have found avenue for redress. CK Chairman Githinji Hinga welcomed the ruling. He said they will extend an olive branch to the other faction in a bid to resolve their differences. “The ruling is positive. We are happy that it’s favourable but our only concern is what is happening on the ground because there is chaos,” he said. Hinga was making reference to a latest move by the interim team to hold qualifiers for the upcoming Olympiad to select players to represent the country. The qualifiers were held on the weekends of June 11-12 and 17-19 with Ben Magana, Joseph Methu and Kenneth Omollo among those selected in the team of 10; five males and four females. He sought further orders from the tribunal to restrain the interim officials but chairman John Ohaga advised him to use the ruling effectively. “That is the tool you needed and we have given it to you,” he advised saying there will be a mention on July 26 to review the matter. When reached for comment, CK Interim Executive Committee Chairman Bernard Wanjala said the ruling failed to address concerns that were raised by members. He confirmed they will appeal at the high court. “The tribunal has swept away the interests of members. We will appeal as soon as possible to safeguard their interests. Even with the ruling, they cannot regain membership which they have already lost,” he told Sports News Arena saying they are not ready for any talks as hinted by Hinga. Sports News Arena established that African Chess Confederation had sought intervention on the matter through a letter authored by its president Lewis Ncube and dated June 8. The letter in which the continental body stated they recognize the interim officials was addressed to Cabinet Secretary for Sports Dr. Hassan Wario and copied to the Sports Registrar, Chairman of the Tribunal as well as President and Executive Director of World Chess Federation (FIDE). In the letter, Ncube said they are ready to accept resolutions from a meeting held under the guidance of the ministry and volunteered to send an observer to the same meeting. “We propose that your office under the Ministry of Sport, Culture and the Arts proceed to regularize the situation in the Kenyan chess community. 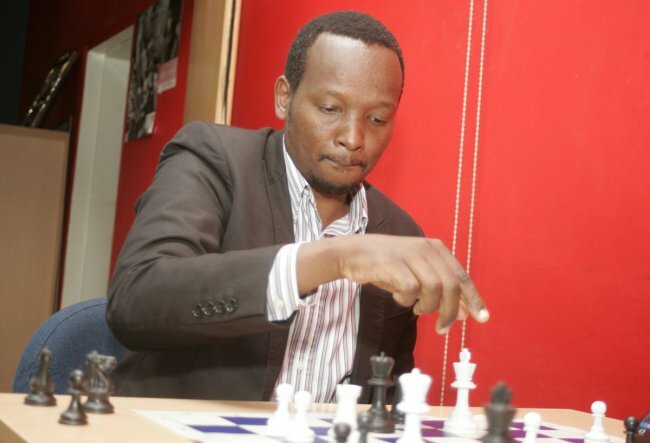 This is by supervising a General Meeting so that this matter can be put to rest and the Kenyan players can look forward to taking part in the forthcoming 2016 World Chess Olympiad as a united family,” he wrote.